Trust—Respect—Integrity. These three words are used by many, taken for granted by some and are difficult to define in the positive. But they are realized most when they are lacking or destroyed. Much of what you do at work and in life with others mostly assumes that these three words are at the foundation of all interactions. For this “thought” effort, it is important to lay some foundational concepts to help each understand how they can impact the meanings of Trust, Respect and Integrity. In essence, think of these 10 points as components of what builds, creates or destroys a person’s level of evaluation of how they feel or think about others. − Admit mistakes, failures and wrong decisions. − Openly share knowledge and information and over-communicate. − Utilize discretionary behaviors of kindness and empathy. − Do random acts of being nice to others. − Admit you have something to lose in a relationship. − Share your thoughts about what you fear. − Do what you say or what you have committed to do. − Be consistent in all areas. Be predictable. − Do nothing that you would be ashamed of. − Your actions need to pass the acid test of scrutiny. − Always take the “high road” even if it is more difficult. − Be the best even in a tough situation, with no excuses. 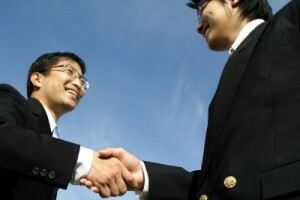 − Be approachable in a friendly open manner to everyone. − Make time for those who need you. − Stay intellectually on top of your game. − Do it right the first time. Do-overs are too costly. − Think not just from your perspective, but from their perspective. − Consider that everyone is equal with no exceptions. − Keep secrets as secrets. − Do not gossip or spread information or thoughts that can be damaging. In evaluating the level of Trust, Respect and Integrity we have for others, or as others evaluate us, it is difficult to separate the objective from the subjective. This is why it is so difficult to explain when trust is lost. One cannot turn off feelings with new data or information. Emotive judgments are not easily changed and may last a lifetime. In business, we attempt to approach people and situations in a rational and logical way. But reality shows that about half of these decisions are based on an emotive/subjective basis. In summary, Trust, Respect and Integrity are precious attributes to have, but once “lost”, they are very difficult to regain with others. Credits: Stimulus for this was rooted by writings by Dr. John Daly, author, and research by Dr. David Miles.